Hong Kong’s market cap was $5.78 trillion as of Tuesday, compared with $5.76 trillion for Japan, according to data compiled by Bloomberg based on where primary securities are listed. The Asian city’s Hang Seng Index climbed 17 per cent this year through Tuesday, when it closed at its highest since June 15. Internet giant Tencent Holdings Ltd. has been the main driver with a 22 per cent gain. Japan’s Topix Index advanced 8.3 percent in that period. 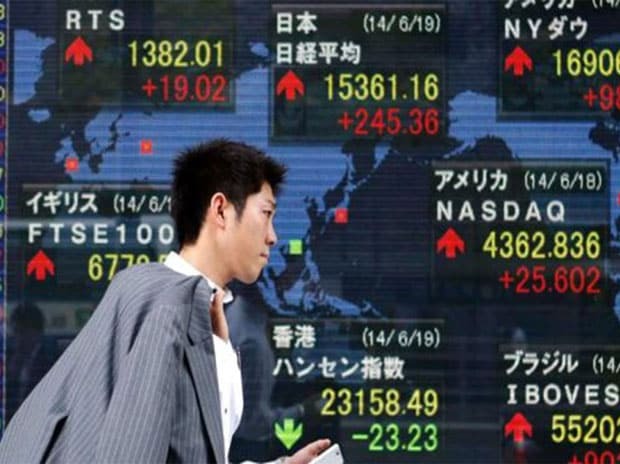 Both markets declined Wednesday, as an economic outlook from the International Monetary Fund renewed concern about a slowdown in global growth and after the US threatened tariffs on the European Union. The Hang Seng Index slipped 0.1 per cent, still closing above the 30,000-point level that it broke through earlier this month. The Topix fell 0.7 per cent.